In the meantime many people are extremely concerned about the mega-treaty, which will open the door to US conditions. Harmonising American and European laws will sound the starting pistol for a race down the drain for working conditions, safety and sustainability. All very nice for big corporations, too bad for people. The treaty also represents an attack on our democracy, as in many policy areas freedom to establish our own laws, rules and regulations will be seriously undermined. Not only the TTIP, but also the Comprehensive Economic and Trade Agreement (CETA) with Canada, should quickly be approved. 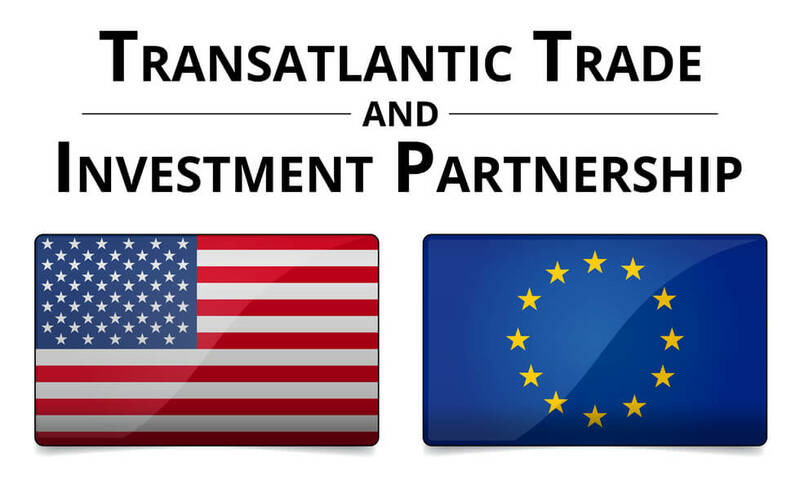 In common with the TTIP, CETA includes a chapter on investment protection. This mechanism enables corporations to bring legal complaints against states if they make laws which damage their profits. It concerns an exclusive system of arbitration outside the national courts, through which international companies can lodge sky-high claims for damages. Not for nothing are multinationals this treaty’s biggest supporters. Another point of criticism concerns the shadowy character of the negotiations. Outsiders are not allowed to know what has been discussed in them. Members of Parliament may look at the various documents, provided they promise to maintain absolute secrecy. In a secure reading room, they have to switch off their mobiles and then read the documents under the watchful eyes of a guard. Under such conditions there is no possibility of an open democratic debate. There has at least been a great deal of debate around the question of the process whereby the treaties will be approved. In our view, in the case of such a far-reaching trade treaty, there should be the widest possible involvement in decision-making, preferably via referendum, but at least via national parliaments. 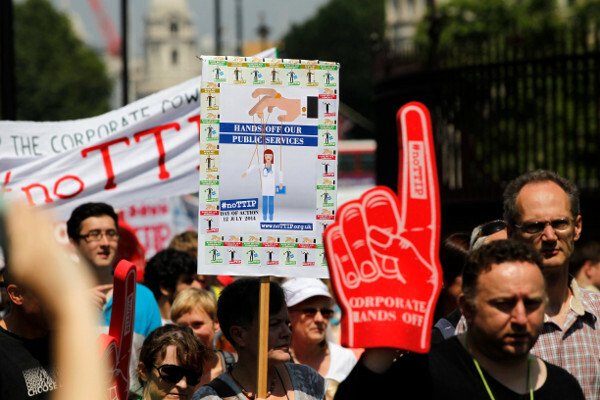 Believe it or not, as things stand we still don’t know whether our parliament will be given the right to give its approval to the TTIP and the CETA. On this question the European Commission has requested the opinion of the European Court of Justice. Brussels believes that these trade treaties are an exclusive EU competence. Twenty national parliaments, including that of the Netherlands, have expressed the view that they too must give or withhold approval. So far we have been waiting a whole year for a clear and decisive answer. Yet even if our parliament is given that right, there’s another snake lurking in the grass. 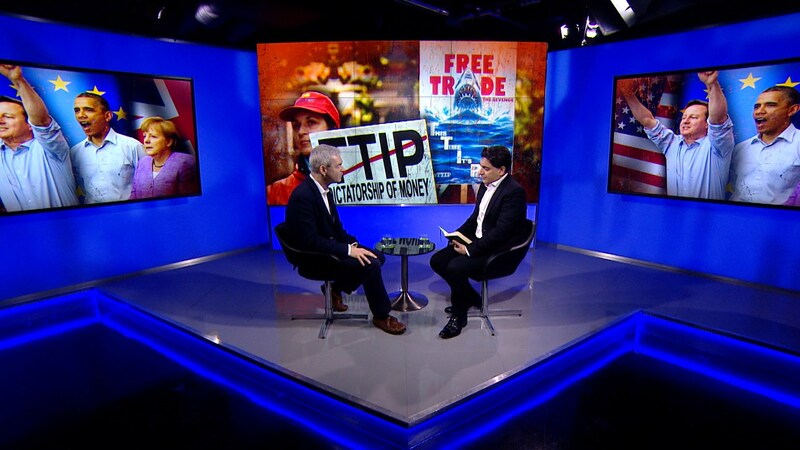 Its name is “provisional application”, under which the TTIP and the CETA could come into force even before they are presented to the national parliaments. Provisional application thus bypasses national democracy, representing a slap in the face for hundreds of millions of people. If you want to enlarge the gulf between Brussels and the people then this is the best way to go. It’s a long way from referenda, limiting the process of approval of trade treaties instead to backrooms. The people will find out for themselves that powers are once again being transferred, in this case not only to Brussels, but also to the US and Canada. 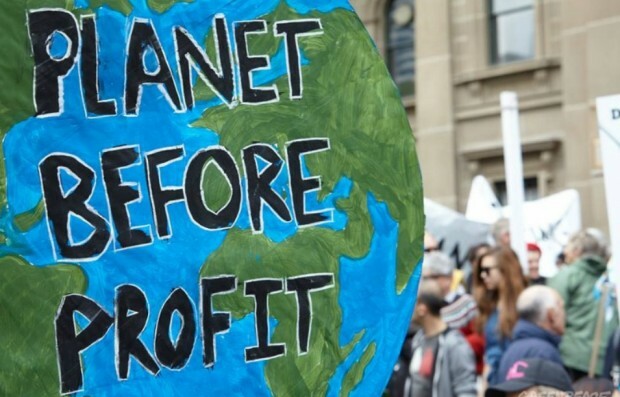 "Social Movements in the political renewal"
We call on our country’s Trade Minister Lilianne Ploumen to give the people the greatest possible involvement in the decision-making process around these major trade treaties. In our view this means first and foremost that approval must be sought from our national Parliament. In her current role as Chair of the European Union Council of Trade Ministers, she is in a position to ensure that this in on the agenda. Secondly, we reject this so-called “provisional application”. Treaties should come into force only if and when national parliaments have agreed them. The Council of Trade Ministers could approve that, if the political will existed. 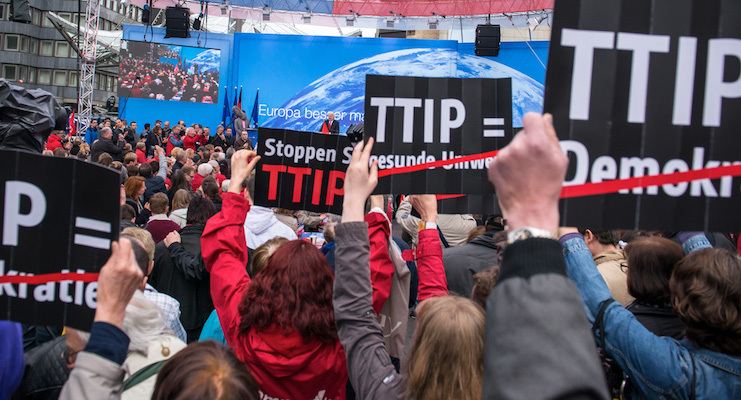 Thirdly, the result of any referendum on the CETA and the TTIP must be respected. The government surely doesn’t want to see people’s faith in the political process dealt such a blow as it was after the referendum of 2005, when following its overwhelming rejection by the Dutch electorate, the European Constitution was simply given a new cover and implemented.